Take your cue from Ellen Adarna! When looking for a #beautypeg, a celebrity like Ellen Adarna would certainly fit the bill. With her fair and flawless skin, it comes as no surprise that her selfies score tens of thousands of double-taps from her IG followers. It's only fitting that Ellen headlines the relaunch of local retail giant Bench’s bestselling Bench Body Supra White whitening and hydrating lotion. “Filipinos have a thing for beauty, and white skin is one of the biggest factors for us,” says Ellen. The relatable "Skin Fairness!" campaign strikes a balance between sexiness and sass, which makes Ellen the perfect person to carry its vision through. When you don't need it, don't use it! Even an actress that needs to look gorgeous all the time would have rest days, and during those periods, a girl's got to let her skin breathe. It's the oldest trick in the book to keep your skin supple and moisturized. If you find it hard to drink up to 8 or 10 glasses of H20 every day, make up for it with other healthy fluids like fresh juices, milk, green tea, and other non-carbonated drinks. 3. Don't skip your fitness routine! Make sure you're well-rested every day, but get moving and burn some calories with at least a few hours of exercise every week. Ellen always finds time to go to the gym, even if it's not always easy to squeeze it in her busy schedule. Sweating helps you get rid of toxins that can make your skin look dull Getting that post-workout glow for your #nofilter selfies is a bonus! 4. Don't bail out on a healthy diet, either. Another way to nourish your skin is by eating right. You know how cheating with fastfood or sweets can give you the most untimely breakouts. Fight the temptation, and munch on fruits instead! You'll certainly feel and look more energized. 5. Be smart with your skin care. Be picky when it comes to the products you use in your beauty regimen. Lotions that promise whitening or any other cosmetic improvement won't be worth it if they smell horrible. That's what made the new Supra White Lotion Ellen's new fave. Aside from its whitening properties, it has that sweet, fruity scent, and it's not sticky like other lotions. It’s light and refreshing, making it perfect for fun and sassy women like Ellen. 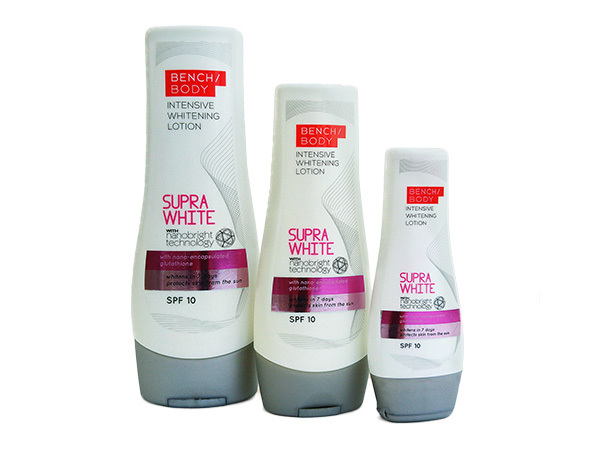 Know more about Bench Body’s Supra White Lotion at benchtm.com/shop, or follow Bench on Facebook, Twitter, and Instagram for updates. This article was created by Summit StoryLabs in partnership with Supra White.